​Performing thrilling acrobatics in front of an animated screen allows me to go anywhere I can dream up. And I’ve got dreams! I want to create an animated circus. I want to expand our current 6-minute act into a 20 minute show! But Here’s the catch…. Here’s where it gets challenging and here is where you come in. I would like to introduce you to Patreon. In case you don’t know, Patreon is a platform that makes it really easy for you to donate a small amounts of money each month to help support the growth of my big ideas. Aerial Animation is my concept but I work with other artist to make it happen. These talented people have skills that are valuable. This means I need to pay them for their work. And animation is expensive. Like buy a boat or put a down payment on a house kind of expensive. People all over the world reach out to tell us how inspiring our performances are. Aerial Animation is my heart and soul. It’s the best parts of who I am and sharing that with you makes for all the feels. So please help us develop new stories. Thank you for all the support you give me and I look forward to sharing my dreams with you.  You can contribute to Aerial Animation by sending a one time donation via Paypal. I'll be sure to send you a few goodies as a thank you, regardless of the amount.